I'm thrilled to announce this fall's Spark Talks at The Met, on December 1 and 2! More information about the talks and how to get tickets here. On Monday, December 1, we'll explore ideas that spread -- from the 16th century to today. 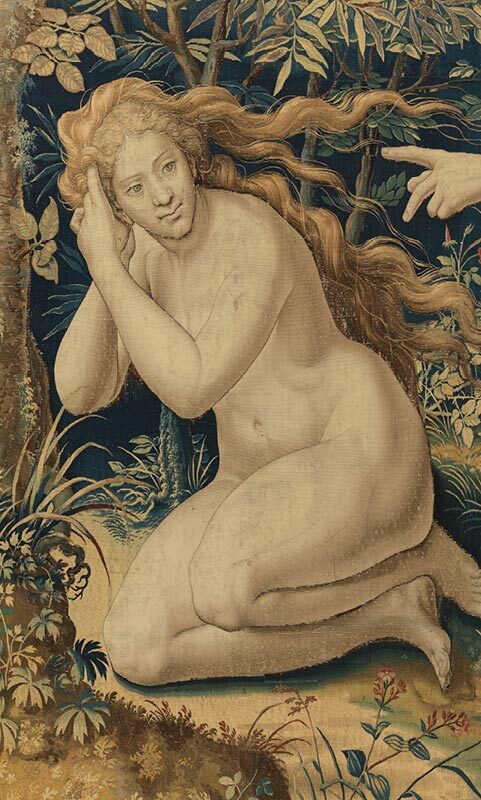 This is connected with a new special exhibit at The Metropolitan Museum of tapestries, books, and paintings by the Renaissance master Pieter Coecke van Aelst, whose art was sought after by the most discerning rulers in 16th-century Europe, from Henry VIII to the Hapsburgs and Medicis. As his ideas spread, the artist changed and shaped his world. That's a photo of his beautiful Eve from his series of tapestries about Creation. In this SPARK conversation, Met curator Elizabeth Cleland will talk with me about this Renaissance entrepreneur. And we'll be joined by best-selling author Seth Godin, whose books and talks have inspired millions (including me!) and who is an expert on how to spread ideas in the 21st century. The next evening, I am excited to be talking about arms, armor, and art with Game of Thrones costume designer Michele Clapton, who will give us a behind-the -scenes look at how she creates the intricate armor for the Lannisters and Starks; artist Miya Ando, who will tell us about the influence of her sword-making ancestors on her 21st-century stainless steel kimono; and Met curator Pierre Terjanian who will offer an intimate glimpse into the Museum’s popular Arms and Armor galleries. Daily tea meditations and occasional glimpses of the new work I'm producing.